The VAVA Voom is the perfect outdoor companion. Bluetooth speakers are great for carrying around your own personal soundtrack. But when the trail gets rough, the sound of music can end with a thud or splash. So for the outdoor music enthusiast, there are speakers with extra armor. VAVA Voom 23 is tough, with a rubberized build that makes it resistant to sand, dust, water, and impacts. It also sports a built-in carabiner, so you can clip it right to your bag. With a 5,200mAh rechargeable battery, it’ll last about 24 hours on a single charge. A pair of 3.5W drivers make for big sound, with the option to connect via Bluetooth 4.1 or a standard 3.5mm jack. Wide buttons for volume and track control make it easy to use on the go. Basically, this is a tank for your tunes. 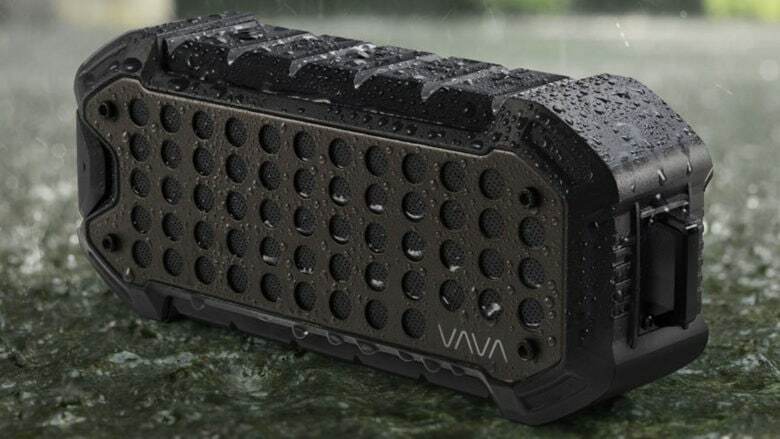 Buy now: Get a VAVA Voom 23 IPX6 Rugged Portable Speaker for $24.99. That’s 28 percent off the usual price.